I wasn’t always a mom. And to be honest, I think lots of things you really and truly don’t understand until you are one. Like traveling with a baby/toddler/small child. It’s not a matter of bending your child to fit your itinerary so much as bending your itinerary to fit your child. 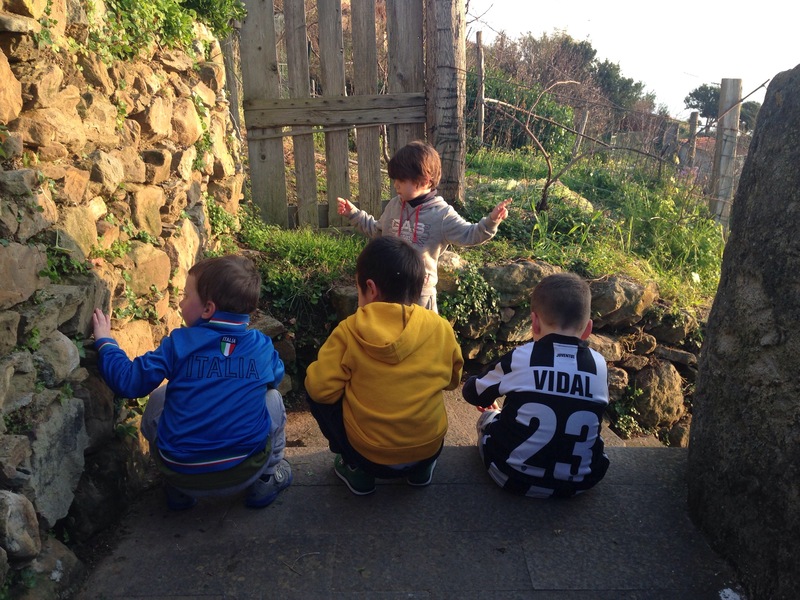 So this is my advice to you, fellow parents, for your time spent here in the Cinque Terre with your little ones. Less is more. Pare down your itinerary so you can stop and smell the roses (or lemons, in this case). Your child will thank you for not cramming 10,000 things on the agenda for the day. Ditch the stroller. Seriously, it’s a bad idea. With all the stairs, steep inclines and cobblestone streets (not to mention the hassle of getting on & off the trains) having a stroller here is a nightmare. Instead, opt for a baby carrier or sling. Our little tornado is 3 1/2 and we still use a carrier for those moments when he’s too tired to walk/hike/climb the stairs. For the love of all things holy, take them on the boats! Kids love the boats. I mean, really LOVE them. And the ferries are a nice and relaxing way to visit the Cinque Terre. You can find the latest schedule for the ferries here. Remember the sunscreen. And preferably, bring it from home (I have no idea why but sunscreen is super spendy in Italy). Your little one will definitely need it, especially in the summer months. Hit up each village’s playground. All five villages have a playground for children. Ask a local where the nearest parco giochi can be found and they’ll point you in the right direction. My absolute favorite is located in Manarola at Punta Bonfiglio. It’s maintained by a local retiree who volunteers his time for the joy of the children (do him a favor and be sure to throw trash in the bins and leave things tidy upon departure). The location is stunning so it’s not just enjoyable for the kids but also for parents (and did I mention there’s a wine bar just beneath the playground?!?). Sample lots and lots of gelato. Your kid will love you for it. Make a point to try as many different flavors as possible. If you are traveling with a school age child, have them keep a “gelato journal” so they can remember of all the different flavors they’ve sampled (and where). They’ll love sharing their journal with friends and loved ones when they get home. Practice la dolce vita. Take your little one to the piazza to play with the local children. Grab some towels and head down to the beach. Be an example to your child that vacation is all about relaxing and unwinding and soaking up the local culture. Keep in mind that the age ranges for reduced rates for children vary widely. I’ve done my best to explain and simplify here for reference. Kids under 4 travel free on the TrenItalia trains (both regional and national). Technically, that’s so long as they don’t occupy a seat (but I’ve never had an issue with my son sitting in a seat so long as the train isn’t packed). Ages 4-11 pay half price for regional trains and ages 4-13 pay half price for national trains (think: faster trains like InterCity and Freccia). Kids 12 and up on regional trains and 14 and up on the national trains pay full price. *Valid only if traveling with at least one adult. 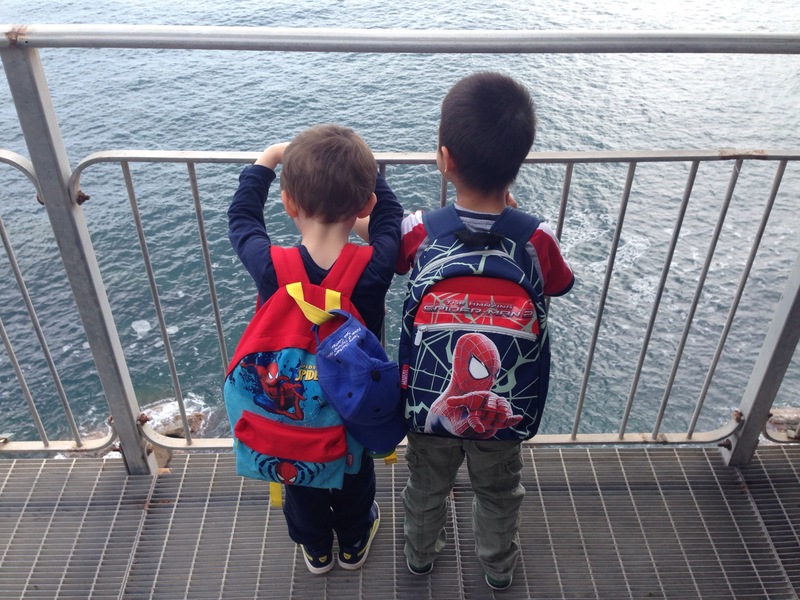 There’s no charge for kids age 3 and under to walk the Sentiero Azzurro (coastal trail). For ages 4-17 the discounted rate for the hiking pass is €4.50/day. 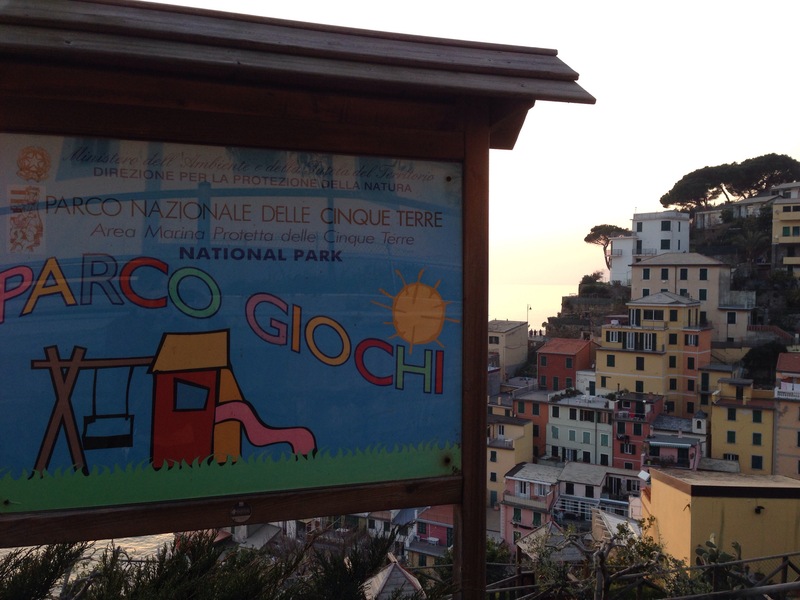 The Cinque Terre Card (which includes the hiking pass + trains between the five villages) is €7.30/day for kids age 4-11. Kids 12 and up pay full price (which is currently €12 per person, per day). A special family rate (for 2 adults and 2 children ages 4-17) for the hiking pass is available for €19.60 per day (this would save you €4.40 off the normal rate). The family rate for the Cinque Terre Card (which includes the hiking pass + the trains between the villages) is available for €31.50 per day. This pass is valid for 2 adults and 2 children ages 4-11 (and would save you €7.10 off of the normal rate). I just stumbled upon your wonderful blog! We are traveling to Cinque Terre for four nights in September with our (then) 17 month old baby. I can’t wait to check out the play grounds! I do have a question…we are taking a quick taxi ride from the train station to our B&B in Monterosso and then back to the station at the end of our stay. Will our baby need a car seat for the two trips? We will not be traveling with one from the US and the only car rides of the trip will be these two taxi rides. More generally, any other advice for the area with a baby under 2? Hope to hear from you! Thanks for taking the time to read my blog! I’m glad to hear that you’re finding it helpful. Great, thank you! That is what I was hoping to hear (I wasn’t looking forward to lugging a car seat around for two taxi trips!). 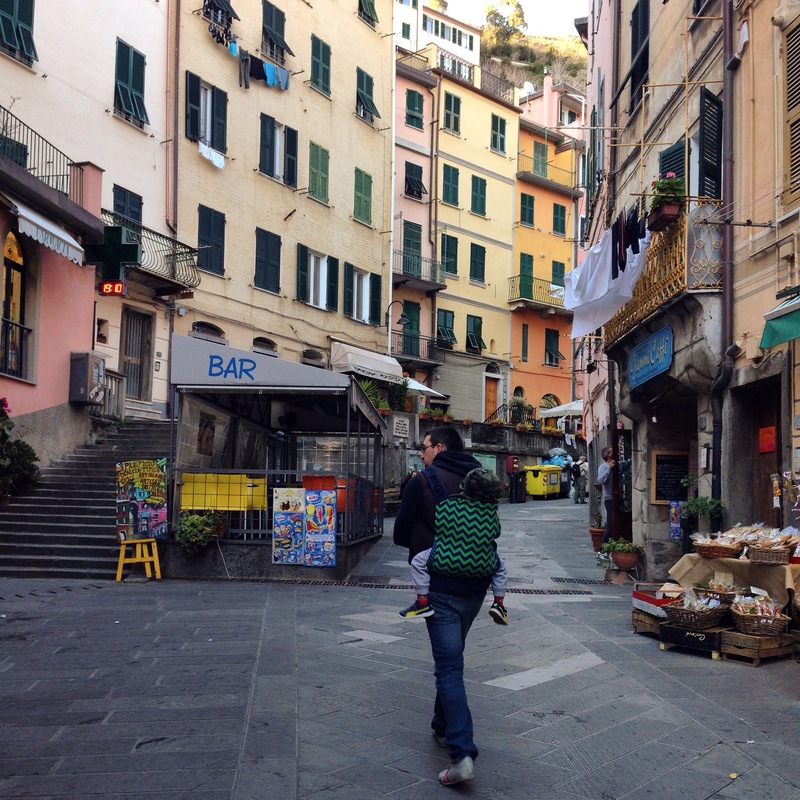 One more question, can you recommend a store in Monterosso for diapers and wipes? Where are they generally available in Italy? We are traveling to Florence and Rome after Cinque Terre and are planning to buy them as we go. We’ve been to Italy before, but you just don’t pay attention to these things when you are childless! In small villages the best option for diapers and wipes will be at the pharmacy (for example, in Riomaggiore that’s the only place that carries them!). If you’re in a bigger city (like Rome) you’ll have the most selection at a supermarket. In Monterosso they do have a few small supermarkets so they may very well have them there (and they would be less expensive than at the pharmacy). Wow!!! Your blog is what I have been missing. Interesting info. We plan to visit Cinque Terre in August. We are coming from Sri Lanka to Pisa airport and see Pisa leaning tower on the way to Riommagiore. What do you think the best way to travel from Air port to Pisa tower to Riommagiore? There are six of us and my 2 year old. Then we plan to drive to Milan in a hired car. Since you will be traveling with so many people, I would recommend hiring a “noleggio con conducente” (a car with driver). Most are vans and can seat up to seven passengers (which is perfect for you!). Normally to travel by train it would cost you around €20 per person but don’t forget you’d also need to pay for checked luggage while you visit the tower. For less than €10 more per person you could have the convenience and comfort of your own car with driver! Based in Riomaggiore there’s a small transfer service that I recommend called “Cinque Terre Transfer.” For €200 they will pick you up at the airport, take you to the tower for one hour and then drive you to Riomaggiore. Be sure to let them know that I referred you! P.S. I just realized when looking over the pricing list again that the €200 rate is for 4 persons and that there’s likely a supplement for additional people. However, I still think that a hired car with driver is the best bet for your group (as it will be SO much less stress and a whole lot more convenient!). This is very helpful! I’m hoping to plan a trip there in June 2017 with my then-1 year old. What would you recommend doing for accommodations – hotel or renting an AirBnb/apartment? I took your quiz and it sounds like Monterosso might be the best bet, with the baby. Riomaggiore sounds lovely but the stairs/inclines freak me out with the baby/bags in tow. We’re thinking of going to Florence for 3-4 nights prior. Would you not recommend bringing a stroller to Italy at all? Or just using the carrier mostly while we’re there but still bringing theastroller? At 6 months now, I can’t imagine not using a stroller! As a mom to two little ones, when we travel we usually try to stay somewhere where we can do some simple cooking if necessary (so I personally would prefer a studio or apartment to a hotel room). With a baby in tow Monterosso will be your best bet (that’s where we take our small ones to the beach as it has the easiest access!). We are visiting Italy in July and have been advised to visit Cinque Terre, the problem is we have 2 kids, a 3 & 7 yr old. I have googled and most sites say it is not suitable for kids as it involves allot of walking, but then i came across your article. Could you recommend a place to stay for us? We will be catching the train from Venice and hopefully staying in Cinque Terre for 2 nights. How silly those sites are! 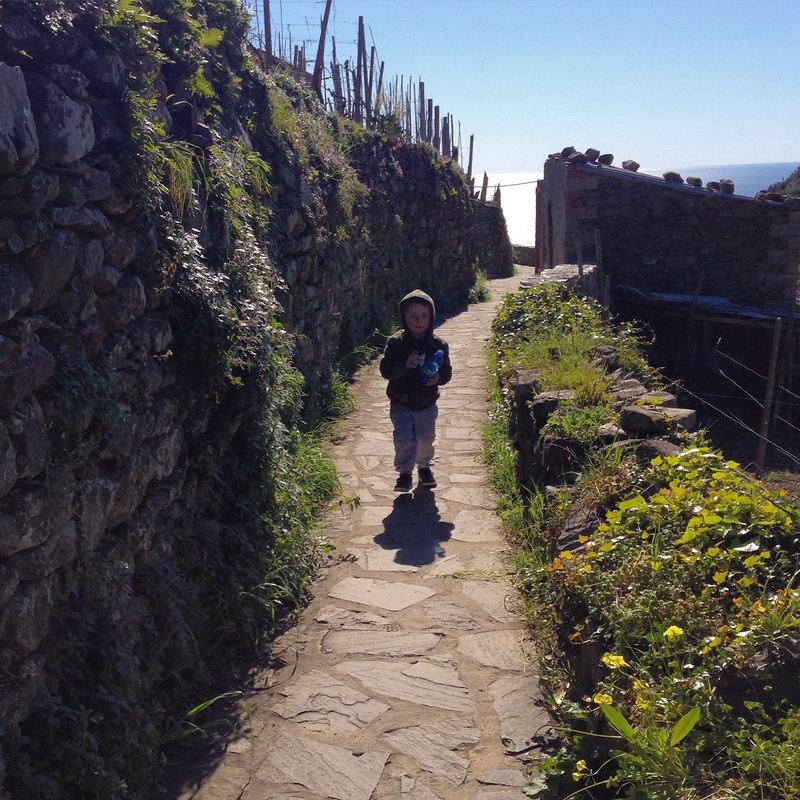 The Cinque Terre is a GREAT place to travel with kids! The slow, laid back pace and beautiful landscape is ideal. Of course, unless your family is super athletic (or ambitious) there’s no need to drag them on to the hiking trails. 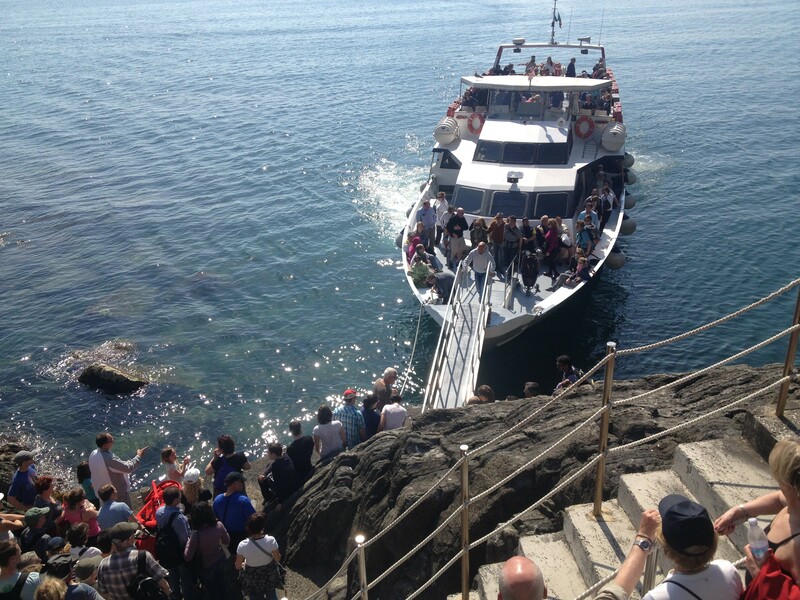 You can easily take the ferries or trains between the villages (or the Explora bus between Riomaggiore and Vernazza). 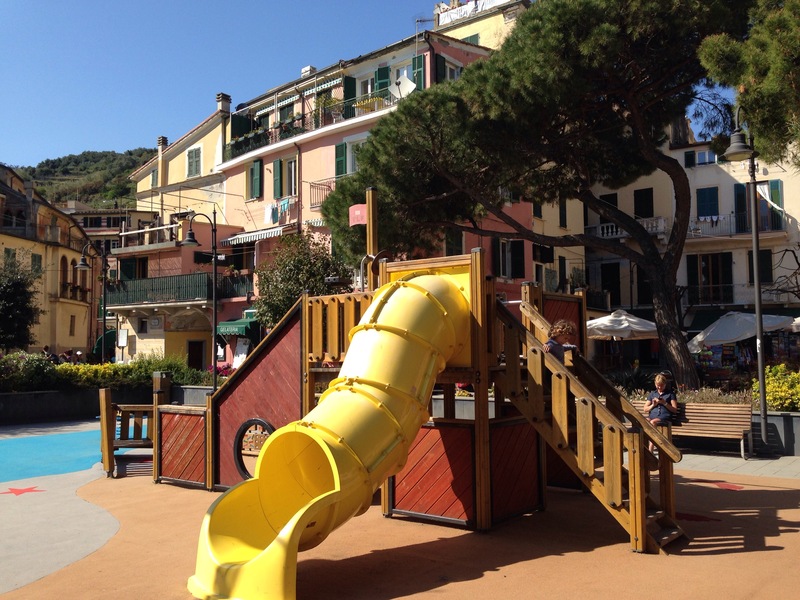 I would stay in Monterosso as it has the easiest beach access for little ones. Stay in the historic center if you’re wanting more Old World charm or in the newer Fegina neighborhood if you’re wanting more convenient access to the beach. There’s so much to see in Rome (and your kids are at the age when they can appreciate the historic sites like the Colosseum, Vatican, etc) and it’s quite spread out so I would recommend *at least* two nights there (remember, that’s really only one full day!). If I were you I’d fly into Rome and spend three nights there (two full days), two nights in Florence (one full day), and then at least two nights in Cinque Terre (although three nights would be better, that would give you two full days to explore). If you have a night to spare you could rent a car in Rome and drive to Florence, staying in a Tuscan village along the way. Remember, the Tuscan countryside is best explored by car but I’d probably ditch the car in Florence as you won’t need it there or in CT. You could then fly out of Pisa. All of the other places we are staying on our trip can provide one for us, so we’re choosing not to travel with one from home… (if we could just get our son to sleep in bed with us, this wouldn’t be an issue!) Any advice or ideas would be greatly appreciated! We have an extra one that we loan out to our guests staying with us. If it’s not being used you are welcome to borrow ours but it might be a pain to come pick it up in Riomaggiore and return it to us on your day of departure. Thanks for these tips. 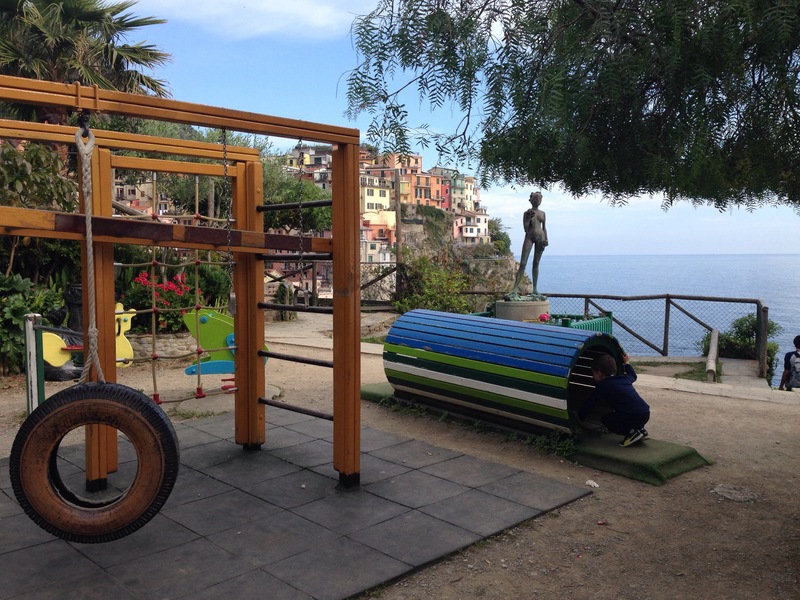 We are just back from Europe and Cinque Terre was a highlight – we went to lots of playgrounds, appreciated your tips. It is a truely wonderful place, and people with kids should not be discouraged – cats, playgrounds, gelato, trains, beaches, friendly people, pizza and more! Whats not to love. My son called it Chunk of Terror – but he loved it!! 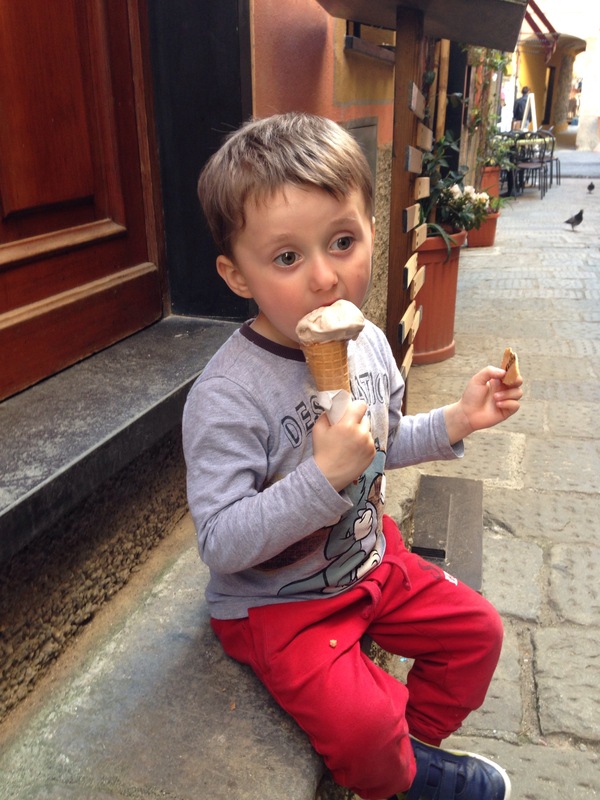 Travelling with kids is a great reason to travel more slowly and change the pace, I spent hours relaxing while my son happily played in Cinque Terre – blissful. Chunk of Terror… hilarious! My young cousin called it Step Land. Kids are hilarious. I’m so happy to hear you enjoyed our little slice of paradise. Your post is really helpful. We are a family of 5 (incl my kids of 14 and 4) flying into Florence in June and want to leave for cinque terre immed. Will we be able to rent the taxi with driver in Florence ? Any idea how much the cost ? Be sure to let them know you found them here! Perhaps you should look into a different AirBnB? Buying a pack & play is not too expensive so if you *really* love the AirBnB you could buy one on Amazon.it and leave it behind when you go. Just a thought as there’s no place that rents them.